When I haven’t planned dinner, pasta is a sure win, especially when it’s just me and my youngest son home for dinner. Yellow & Green Zoodles for me, gluten-free pasta for him, both served with homemade tomato sauce and fresh parmigiana. 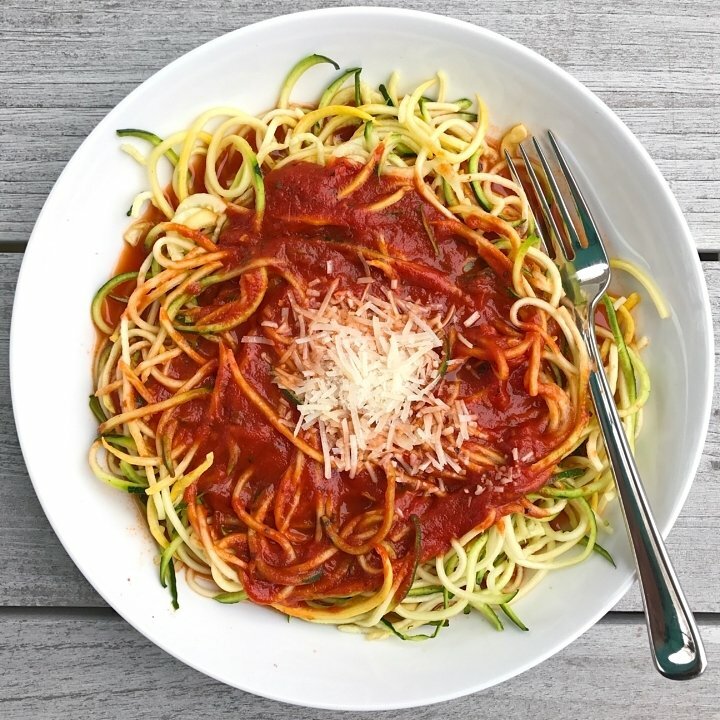 To save time, I even purchased the already spiralized zucchini noodles. 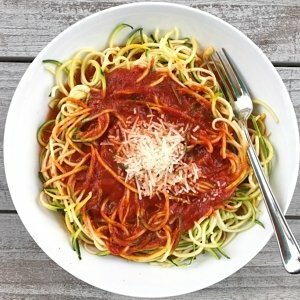 And I didn’t “cook” my zoodles, I feel like they “cook” enough when I put hot sauce on them.